Oklahoma summers are brutally hot, so I ran to our front door when I saw a couple of high schoolers knocking! To my surprise, they asked me if I would like to have a fruit tree planted in my yard! The question was odd, but I knew that Crossover had Interns surveying the community to see if families wanted fruit trees planted in their front yards. As soon as I realized that these high schoolers were a part of that group, I invited them in, asked them to rest in the AC, and offered them bottles of water. They gladly obliged while the other interns (across the street) became frantic after they had disappeared into someone’s home for 15 minutes! The national unemployment rate amongst African-American youth is 20.7%; which is double the rate of their Caucasian peers. This internship program is a part of our overall effort to help remedy the youth job shortage issue in north Tulsa. 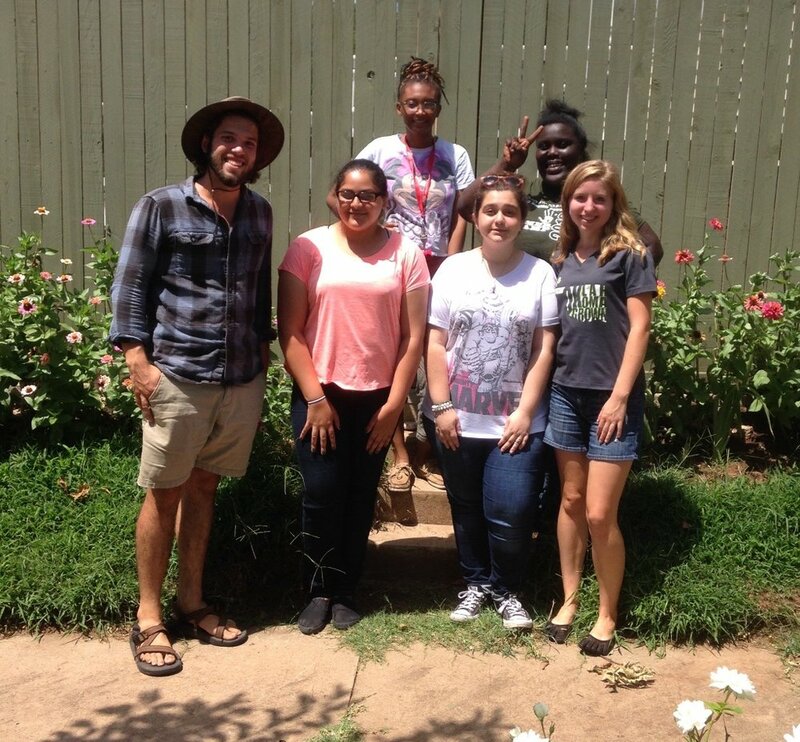 The Interns improved the garden at Hawthorne Elementary School, allowing the school to have a Garden Club this summer! 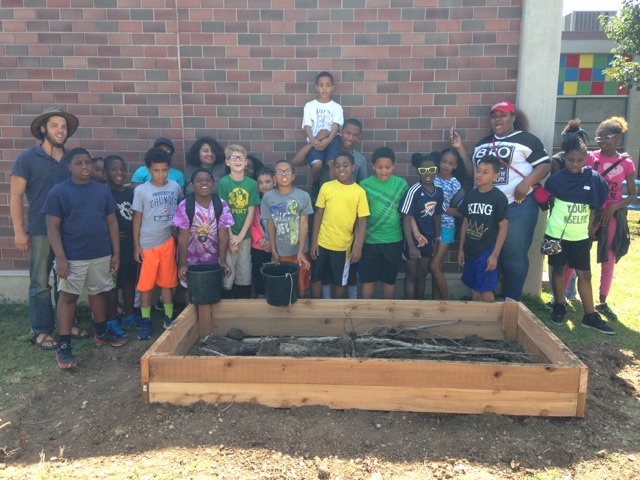 The StreetLeaders, who run the After-School and Summer Enrichment Program, taught about gardening design and horticulture, as they assisted the interns with the construction of additional garden beds and the IMPACT Kids' students did the planting. 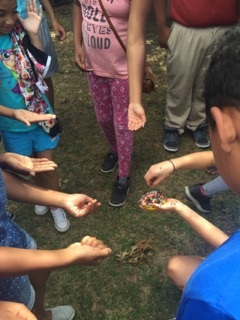 The IMPACT kids loved the garden, and we were able to add another element to our STEM Programming! We think this great work of our StreetLeaders is a big reason that the IMPACT Kids After School and Summer Enrichment Program received the Tulsa Regional Chamber of Commerce’s Partners in Excellence Champion Award! One of the key components of the StreetLeader Program is an emphasis on increasing not just the high school graduation rate, but also college attendance rate for our community. McClain has a 42.22% graduation rate and Central’s rate is 77.04%. All six of last year’s High School Seniors in the StreetLeader Program, from McClain and Central, graduated and 5 out of the 6 StreetLeaders became college students this Fall! Our hope is that with the proper support, our community’s college completion rate of 16% will increase, and we hope that the StreetLeader Program will be a great push in that direction! Our approach to leverage youth employment for the sake of relationship building, mentoring, discipleship, leadership development, and academic excellence has made an IMPACT in our community! Our students are choosing to go to college as a result of the StreetLeader Program, and they are staying connected to their mentors and friends in the Program while away. The 5 former StreetLeaders returned during their breaks to see the kids and staff in the program! They are encouraged as they pursue furthered education, and they receive the support they need most, including being moved into college and helped through that process by the CCI staff! I ended this summer by taking one of the StreetLeaders to OSU. I was so proud of him and his family as we found the correct computer he needed for his engineering classes, finagled all of his stuff into this tiny space that we call a dorm room, and imagined the possibilities that this move will create for him both now and in the future! Please pray for CCI, the IMPACT Kids Program, and the StreetLeader Program. Pray that the high schoolers will continue to exceed expectations, pray that the IMPACT Kids will excel, and pray that the CCI staff is able to continue to be the family and support system that these students so desperately need. Most incredibly, pray that we are able to continue to provide youth jobs to impact our community is such a meaningful way! P. S. In order for this type of transforming work to happen in our community, we need partners who will bless us with resources. Will you take advantage of this giving season and help us meet our goal of $175,000?